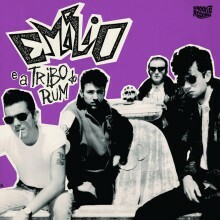 EP recorded in Portugal by John McNeill ( The Zips) and Ramon Contreras (Psycho Tramps). 3 songs of pure Punk Rock n Roll High Energy, Stiff Little Fingers meeting The Clash and The Cramps. What happens when a Scottish punk meets a Portuguese rockabilly rebel, in an alleyway off the information superhighway that is Facebook? Well, after months of late night messaging, exchanging ideas and song demos, they have a shiny new 7” vinyl release on Lisbon-label, Different Class Records, as it happens. 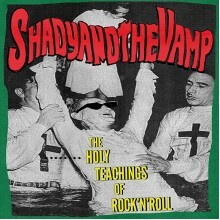 JonZip, frontman for, Glasgow-based 70’s punk band, The Zips, and Razor Ramon, guitar man for Psycho Tramps, based in Faro, have come up with 3 quite varied, but highly listenable tracks. Motor Mouth kicks off with some urgent guitar and drums, before settling into the tale of someone who will not shut the f*ck up! Party Animal meanwhile, has Razor Ramon rocking out on guitar, as the female in question, parties like there’s no tomorrow. Last up is, Truth Or Dare, which sees Mr Ramon taking a more subdued approach to the backing track, allowing Mr Zip to relate stories about, The Stranglers ill-fated concert in Cascais, and The Lost Tapes of Paulo Ramos, amongst others. 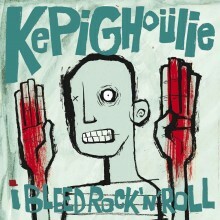 12" Kepi Ghoulie "I Bleed Rock'n'Roll" Limited European press - Otis Recordings (ITA) 01. 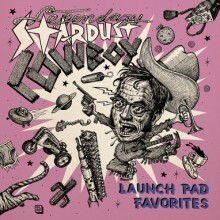 Rock'n..
Deluxe Gatefold Sleeve, includes a boardgame (!!!) It was a muddy afternoon at Gonerfes..
GROOVIE RECORDS They played rock’n’roll like nobody else in Portugal during the middle 80’s. Play.. 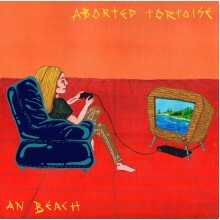 When it comes to pop music, artistic originality always seems to be in chronically short suppl..
ABORTED TORTOISE’s debut album, An Beach, is just about everything you’d hope for from a Wester..